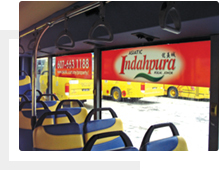 Partial bus wraps are small areas of the bus chosen for advertising. They provide a constant reminder for consumers and thus enhance your brand awareness. Side panel can be placed on either on the passenger's side or on the driver's side. They can be exposed easily on the road. Full back panel fully cover the rear of a bus. It is very effective for motorists and car drivers whether when they are driving or waiting for traffic light. 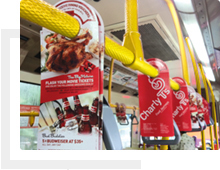 Full bus wrap are highly effective for advertiser to stand out of the crowd. Every area of the bus can carry your message as you dominate the streets with your very own fully wrapped bus. Capture the attention of surrounding mobilizing crowd by delivering high frequency exposure and coverage enormously. Small back panels are found beneath the rear window, they come in a standard size of 20"(H)x 60"(W). It is a very economical way to get your message out. Full stripe glass panels are found on the top part of the window. Together with the full bus wrap, this provides a clearer message exposure and results. Your advertisements sit face-to-face to consumers. There is no way they can take their eyes off your advertisements. 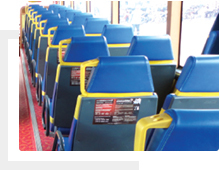 Bus brackets are located at ideal location where it can be easily noticed, and picked up by consumers. 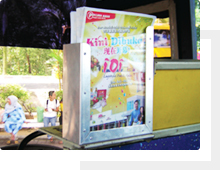 It is an ideal platform for brochure, flyer and newspaper distribution in a safe and cost effective way. 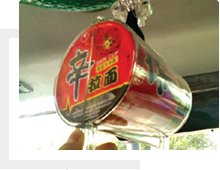 Hanging panels carry your message everywhere in the bus. They are removable which allow consumer to bring them home and spread your message to many more people. 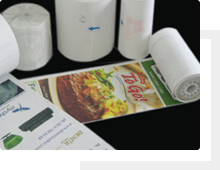 Thermal paper can be pre-printed with your message and logo. It is used as a bus ticket to passenger who has paid the fare by cash. Your message is delivered by hand to every passenger without a miss. Glass panels sit above the windows at the interior of the bus. It is an ideal platform for targeting commuters. 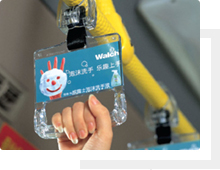 Creative bus handles are sure to attract attention and will be read by commuters from start to finish for their bus ride. Product-oriented advertising moves your products to consumer allowing consumer to visualize the product before making a purchase. It is designed predominately for new product lauches and brand enhancement campaigns. 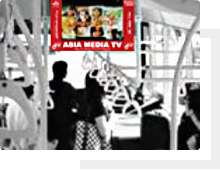 In partnership with Asia Media, Causeway Link buses feature Bus TV that provides televised advertisements. This guarantees viewership from the high number of daily commuters making it perfect for publicity.